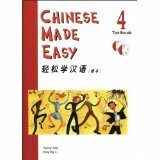 This is a supplementary textbook for non-native speakers studying elementary Chinese (year two / year three) or preparing for GCSE Chinese, (IB) Mandarin AB INITIO and university’s language course units level – B and C, or equivalent examinations. When native English speakers learn Mandarin, they sometimes make similar mistakes. This book has a chapter to address this problem. It shows them the common mistakes they or their classmates might make and also gives them the corrected sentences, so as to avoid the same mistakes being repeated. This book has a chapter on “Grammar Points”, which contains 451 sample sentences and 137 grammar points. 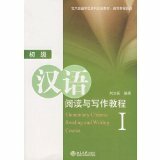 Volume 1 of the elementary level of the Boya Chinese series, which comes with 9 books distributed as follows: - Elementary (two volumes) - Pre-intermediate (two volumes) - Intermediate (two volumes) - Advanced (three volumes) These textbooks have been developed by experienced teachers of the University of Pekin, the most renowned university in China. 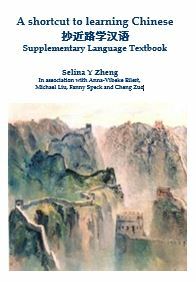 The current volume focuses on beginner-level students, which, together with the second volume on elementary level, covers aproximately 1000 words. Once this level is finished, the student will be ready to pass the HSK level 3 exam. 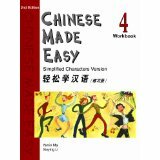 It´s especially recommended for intensive courses, since the student will be able to advance very quickly with it; teaching characters has a secondary role in this book. Contrary to other textbooks, the dialogues in each lesson written in Chinese characters are separated from their Pinyin (phonetic transcriptions) versions, a very positive feature which avoids getting too used to the latter. An MP3 format audio CD will read all the texts in Chinese, as well as the new words in each lesson. The book covers much ground, and includes a great deal of exercises for each lesson. All grammar explanations, introductions to new words and instructions to the exercises come in English. Furthermore, at the end of the book you can even find translations of the texts in English as well. Volume 2 of the elementary level of the Boya Chinese series, which comes with 9 books distributed as follows: - Elementary (two volumes) - Pre-intermediate (two volumes) - Intermediate (two volumes) - Advanced (three volumes) These textbooks have been developed by experienced teachers of the University of Pekin, the most renowned university in China. The current volume focuses on beginner-level students, which, together with the first volume on elementary level, covers approximately 1000 words. Once this level is finished, the student will be ready to pass the HSK level 3 exam. It´s especially recommended for intensive courses, since the student will be able to advance very quickly with it; teaching characters has a secondary role in this book. Contrary to other textbooks, the dialogues in each lesson written in Chinese characters are separated from their Pinyin (phonetic transcriptions) versions, a very positive feature which avoids getting too used to the latter. An MP3 format audio CD will read all the texts in Chinese, as well as the new words in each lesson. The book covers much ground, and includes a great deal of exercises for each lesson. All grammar explanations, introductions to new words and instructions to the exercises come in English. Furthermore, at the end of the book you can even find translations of the texts in English as well. A completely new, exciting and highly enjoyable textbook for developing Business Mandarin skills and key Chinese cultural understanding. 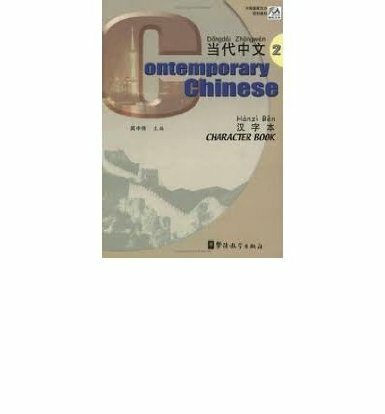 A Chinese Language teaching book, grading in elementary, intermediate and high classes, each of which includes 2 volumes, with comprehensive contents, fit for overseas students preparing or has entered to specialized study in China, as well as Chinese advanced learner. This impressive new text series is intended to teach English-speaking students to develop the ability to communicate in Chinese social settings, as well as read and write characters. With a innovative text layout, utilising pinyin, simplified and traditional characters, and English translation of the dialogues, many cultural notes, pictures, and more. There will be a total of 4 texts, 2 character exercise books, 4 exercises books, 4 teacher's manuals, and audio and video tapes to complement the series.